The FA Trophy was introduced in 1969 to cater for those non-league clubs who paid their players and were therefore ineligible to enter the FA Amateur Cup. 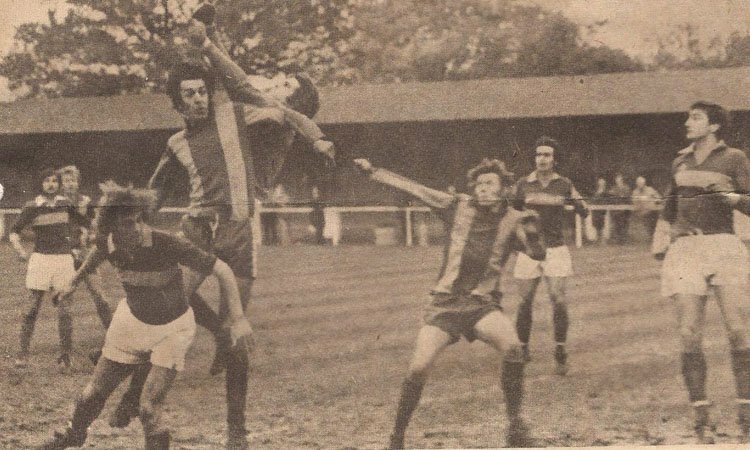 When the FA Amateur Cup competition was ended in 1974, with the FA’s official abolition of amateur status, Horsham were invited to compete instead for the FA Trophy. Having struggled to make an impact in the Amateur Cup, the new competition brought no immediate change in fortunes, however, as they were dumped out of the Trophy at the first attempt by lowly Guildford & Dorking. Some decent league form was mirrored in the cup in 1976/7 when Lewes, Woking, Hornchurch and Sutton United were all defeated en route to a first round pairing with Dartford but it was the Kent side who would prevail, 3-1 after a replay, in what would prove to be the highpoint of Horsham’s seven year flirtation with the FA Trophy. 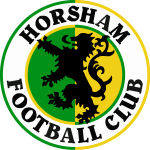 Relegation to the second and third divisions meant that Horsham were no longer eligible to participate in the FA Trophy until rejoining Division One in 2002 but eight seasons of failure would follow, with the side never having managed to progress more than one round in a single season since. Key: PR – Preliminary Round, Q1- 1st Qualifying Round, Q2, 2nd Qualifying Round etc. , R1 – 1st Round, R2 – 2nd Round etc.